Include all the gang with brand new Vegan options at Box Burger Bray. 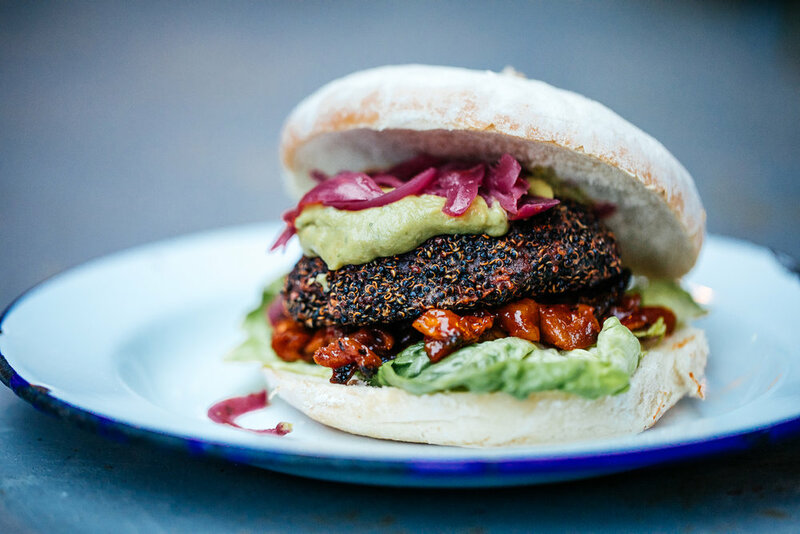 BEETROOT & BLACKBEAN joins our popular CHICKPEA & PB & SEITAN on the Vegan side of the menu. Catch our Chickpea & PB on our #BoxOnTour festival route this season and avail of all in-house and online for takeout. Supplied by Moodley Manor, our VEGAN WINGS are made out of plant protein, chickpea flour and lots of spices and are served with an option of two sauces on the side. Wash the goodness down with a refreshing VEGAN MILKSHAKE. Made out of vegan ice-cream and rice milk our dairy-free milkshakes come in three delicious flavours [ vanilla, strawberry, chocolate]. Get yours in-house or online for takeout. VEGAN WINGS [supplied by Moodley Manor] served with Sweet Chilli Sauce or Vegan BBQ Sauce on the side.